How is it already Day 3 of Red Lip Week?? 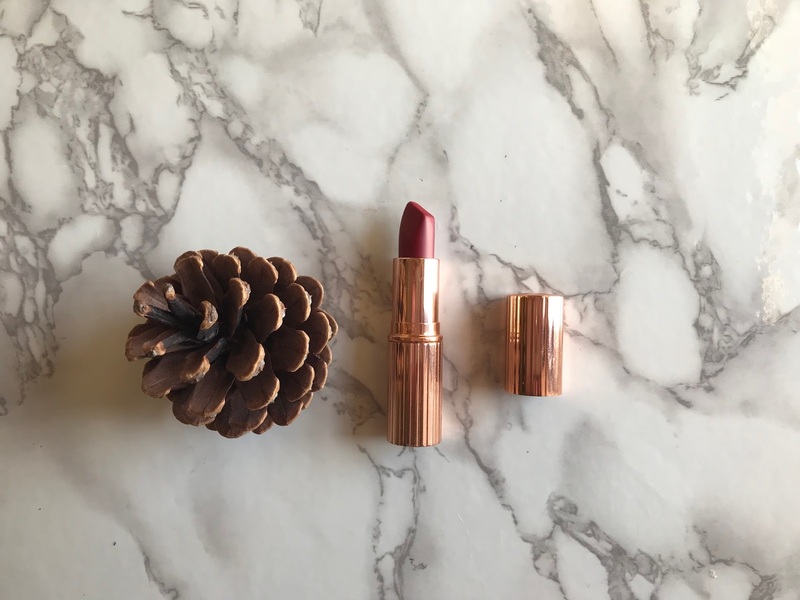 Today's post features what is possibly my favourite lipstick of all time (bold claim, I know). 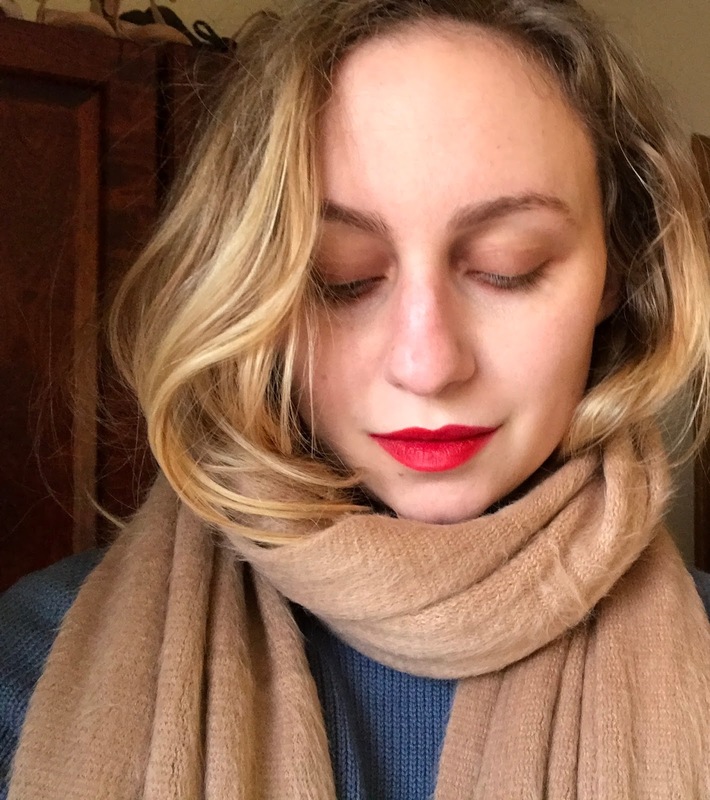 It's the Charlotte Tilbury Matte Revolution Lipstick in Red Carpet Red. The formula of this lipstick is INSANE. It bills itself as a luminous matte, which it truly is. It glides over my dry patches and makes my lips look super smooth. And it lasts FOREVER. You could go all day with barely a touch-up. Also, crucially--it fades evenly, leaving a pretty stain on your lips that isn't patchy or sparse in areas. Does it past the Holiday Feasting Test? This is a resounding YES. 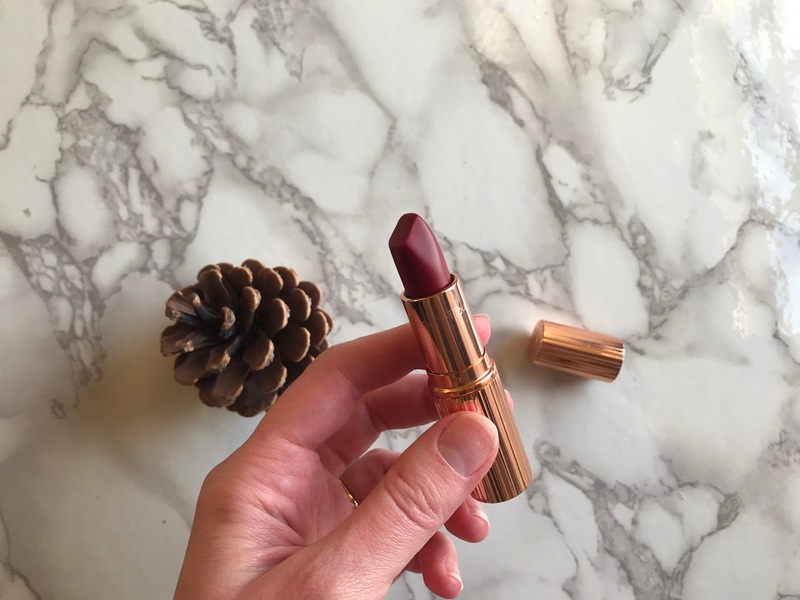 This is actually the lipstick I trust most with the holiday feast. It does fade a bit with eating, but really only a bit--and, as mentioned above, it fades evenly. This means your lipstick still looks good after eating and drinking as much as you possibly can. I would touch-up the lipstick after a meal to maintain full opacity if I had a spare moment (cause I'm just like that), but I wouldn't need to do so in order to not look like a person with crazy, patchy lipstick. Ps. it smells the teensiest bit like Lindt Chocolates--which is a win for both me and my husband.